“Surprised by the Hero of Seventy Fights - The Good Lord James of Douglas” - another long lost work by Howard Pyle - will be sold at auction this coming Saturday. By “long lost” I mean that for almost 130 years the greater public has only been able to see a small wood engraving of it - that is, provided they could find copies of the magazine and books in which it first (and perhaps only) appeared. Pyle painted the 13.5 x 16.5" black and white oil on canvas (or canvas board?) sometime in late 1885 or early 1886. 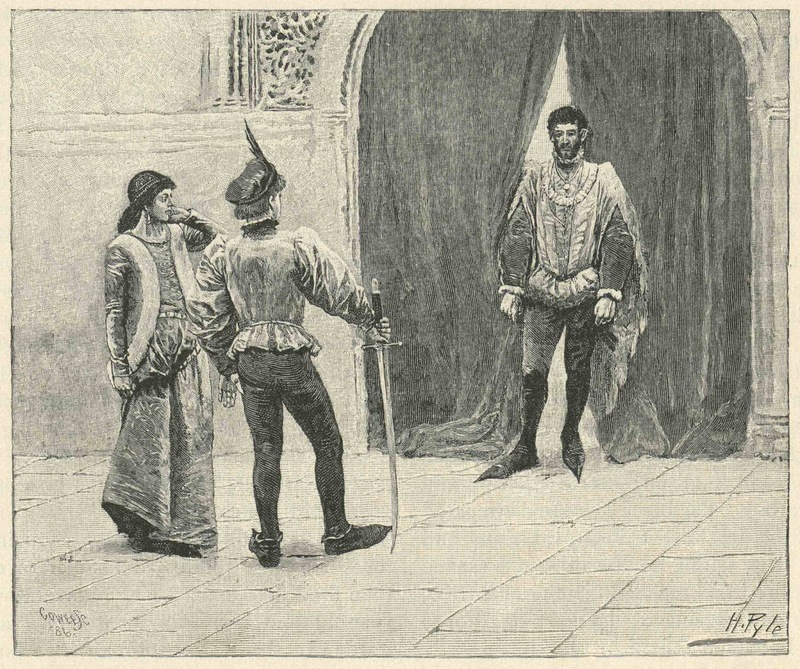 It illustrated the true (or truish) story of “The Little Donna Juana” - subtitled “An October Story of the Moors of Spain, and how the good Lord James of Douglas kept his Hallow E’en. a.d. 1340” - one of Elbridge S. Brooks’s series “The Cycle of Children” in the juvenile magazine Wide Awake for October 1886. The following year, it was published by D. Lothrop & Company (publisher of the magazine) in Storied Holidays, A Cycle of Red-Letter Days. Both publications (as well as subsequent British editions of the book) featured the 3.8 x 4.5" wood engraving of the picture made by George Leander Cowee (1852-1908). 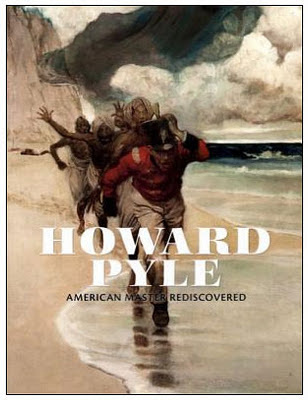 Cowee, like so many of the engravers of his generation, did an admirable job, but it’s still more of an interpretation than an exact reproduction, and it lacks much of the warmth, softness, and subtlety of Pyle’s original. 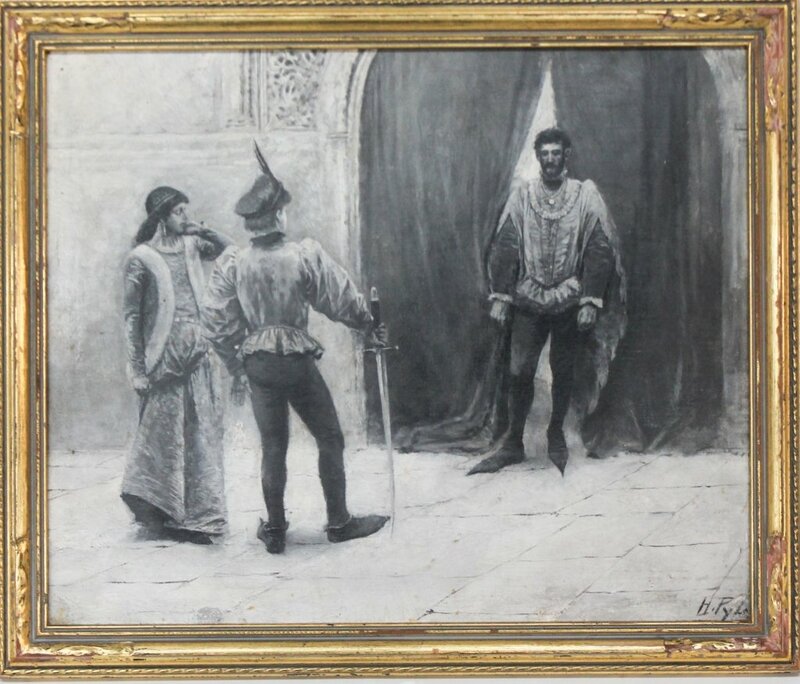 “Surprised by the hero of seventy fights The Great [sic] Lord James of Douglas” is Lot 80 in Day One of Wooten & Wooten’s Fall Americana auction at 1036 Broad Street, Camden, South Carolina, on November 14, 2015.